Description: Train engine with a brown base, dark brown boiler and wheels, a red smoke stack on top, and a metal bell on top of the boiler (between the smoke stack and engine's cab). The cab area has 1 seat a window on 2 sides, and a small square roof opening. Other: See HTW203 removable Train Engine Roof. Description: Train engine with a blue base, yellow boiler and wheels, a red smoke stack on top, and a metal bell on top of the boiler (between the smoke stack and engine's cab). The cab area has 1 seat, a window on 2 sides, and a small square roof opening. 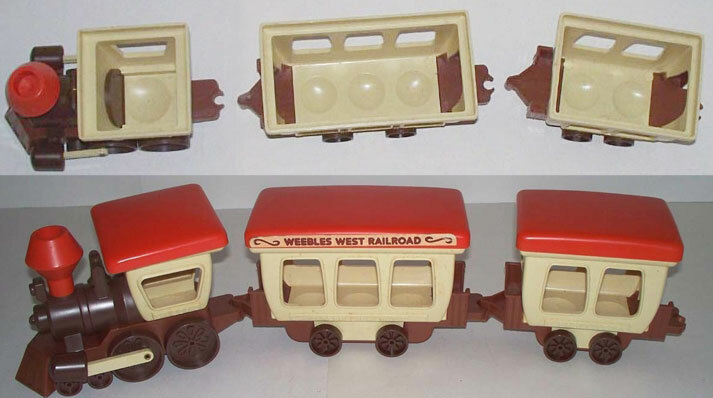 Description: Off-white 3-seat train passenger car with a brown base and 4 black wheels. Two sides of the car has 3 open windows. The top has a large rectangular roof opening. Other: See HTW204 removable Train Car Roof. 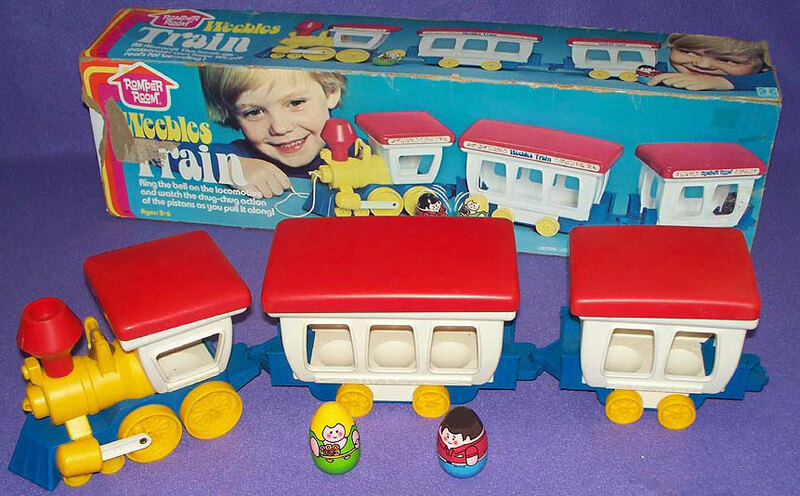 Description: White 3-seat train passenger car with a blue base and 4 yellow wheels. Two sides of the car has 3 open windows. The top has a large rectangular roof opening. Other: See HTW363 removable Train Car Roof. 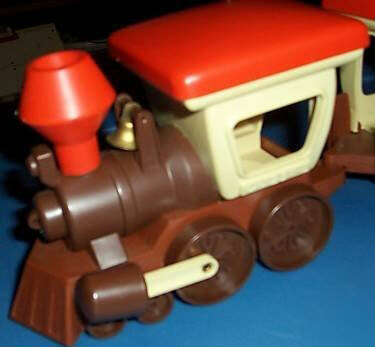 Description: Off-white 2-seat train passenger car with a brown base and 4 black wheels. Two sides of the car have 2 open windows. The top has a small rectangular roof opening. Other: See HTW205 removable Train Car Roof. 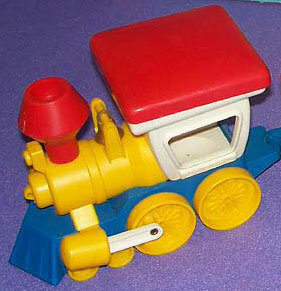 Description: White 2-seat train passenger car with a blue base and 4 yellow wheels. Two sides of the car have 2 open windows. The top has a small rectangular roof opening.